It’s strange isn’t it, or maybe not, that because because I am a healer I think I should always know what to do when the person with the need for healing is me. I think somewhere wired into my brain is the ‘physician heal thyself’ mentality and so I always feel that I should be able to do just that. But of course, like all of us my skills are limited, especially when it comes to healing myself. Many is the time I have struggled with a problem when anyone else would have asked for help. Actually this may also be because I am stubborn and independent but that’s a whole other story! The most obvious time for this was when I had a frozen shoulder. Ok so I did eventually go for physiotherapy and was good about doing the exercises I was given but alongside this, to avoid dire warnings about hospital and having it manipulated under surgery if it didn’t start to free up, I worked away on myself with Reiki. Reiki is amazing but when you are really in need it is often much more effective to have someone work on you, someone that can be the clear channel that it is hard to be when you are the one suffering, and someone who doesn’t have a vested interest in the outcome. I know this yet I turned down my own Reiki Master’s help with a ‘I’ll see how it goes and get back to you if I need to’. Only my husbands response made me pick the phone up again and call back. What a good job it was that I did too, as there was a tear in my energy field and all the energy I was frantically putting in was just floating off out again. Could I have healed this myself. Probably yes, now that is but at the time, no! I had neither the knowledge nor the skill to do so. Over the years I have got better at knowing when to reach out for help although I can still, all too often, be found trying to deal with something myself first which can mean that by the time I do the problem is more intrenched than it need have been. Recently I had a bad sinus infection which affected my balance, left me with severely low energy and almost stopped me flying without it being painful or possibly dangerous. I worked on myself until it became clear that this was not enough and I knew to ask for help from others who work with energy, friends, students, online contacts, and healing circles around the world. Of course I also took the conventional root of seeking help from my doctor along side this. Right at the last minute before I flew, in my seeking help I found shiatsu was exactly what I needed. I left after a session of shiatsu with more energy and a clearer head than I had had for weeks and the headaches I had been having vanished. Sometimes knowing what to do and what is right happens quickly. The answer may be obvious or you may have a therapist who you know deals well with ‘x’ or ‘y’. At others it can be more complex and the knowing what to do can, as with my sinus infection, can mean a lot of trying things out to see what works….this time. Knowing what to do, needs to be the result of trial and error for there is no ‘one size fits all’ with healing. Sometimes you are lucky and get it right first time, at others there are lessons to be learnt along the way, and one of these is the knowledge that healing doesn’t always happen immediately. Sometimes several approaches are needed to strip away what is there and allow the real deep healing to take place. At other times you can get lucky and get right to the source first time but an awareness that this is not always so is healthy to have. As a therapist working with others I often mix techniques to suit my clients needs. In the same way, for my own healing I do the same and I would include conventional medicine in this. It is not always right, nor is it necessary but to dismiss it any more than you would dismiss any form of energy healing or body work is, in my opinion, short sighted. What is important is to know what is available so that you can make an educated choice and so that knowing what to do comes from a place that is informed. I have just returned from holiday and have had a reaction to the anti malaria tablets I was taking. No messing here, I was straight to the doctors, change of tablets and antihistamine to help my body cope. To do otherwise would have been foolish, but now I have these I am reaching out for help from others to help my immune system strengthen. I am taking turmeric (anti inflammatory), drinking green tea and ginger (good antioxidants) plus taking vitamin c and a b complex which are also thought to help with an allergic reaction to medication. I know there are herbs I could add to this but at present am stopping there so I don’t confuse things or create a further reaction. Knowing what to do can sometimes mean knowing when to stop too. So, knowing what to do can mean a whole range of things, the important thing is being able to seek help, gain knowledge of what is there and then choosing what feels right rather than struggling on in silence. There is a whole world out there which is happy to help and I for one recognise how lucky I am to have such a wonderful network to call on in times of need. It really is worth cultivating your own. I have just returned from a month away travelling in Ghana and Namibia. I have had the most amazing time and have seen so much but less than 48hrs after arriving home am struggling with the idea of writing a blog post this week. Before I went away I was full of inspiration and determination, so much so that I wrote my blog posts in advance and scheduled their posting so that I wouldn’t miss a week out but now I am back…..
Maybe it is just the letter K which for me at least, is less than inspiring. Words beginning with K do not easily spring to mind and from the short list of ideas sent this week I’d say it’s not just me. Maybe though it is the post holiday lag, getting back into the normal routine. If I’d been really smart I’d have written this before I went away wouldn’t I. I could of course just let this post pass me by, take a break and start again in a week or so, maybe when we have moved on from K.
One of the reasons for me joining the Pagan Blog Project though was to help me keep my blog going and to blog regularly, at least once a week. 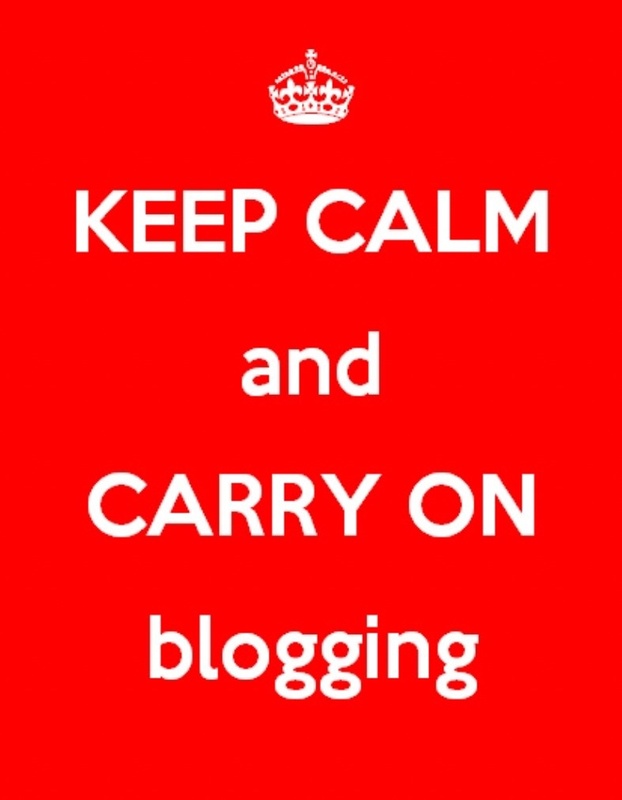 If I give up now does that mean it’s ok to not blog whenever it’s hard? I think it probably would. I also feel that with this as with other things in my life, if I have started something, committed to it I should maintain that commitment and not give up the first time it becomes difficult. So there it is, I can’t give up, I can’t just skip this week for it probably wouldn’t be just this week but odd weeks here and there until I gave up completely. This may sound dramatic but I know myself and how for me these things work. I’m not going to beat myself up about the lack of content of this blog although I apologise to my readers for this and do promise to try to do better in the future. Instead I’m going to use this as a chance to keep blogging so that I don’t skip a week, in the hope that a better K will leap into view by this next week. I have never ever kept a diary and when I was first required to keep a journal during my Reiki Masters training I fought against it tooth and nail. In the end I worked with loose sheets of paper in a ring file for that way nothing was permanent and I could, if I wanted to, remove and throw away anything that I decided not to keep. This resistance to journaling continued for a long time……until I began to see the benefits of keeping a journal. The first thing I realised is that journals are not diaries. They are not a record of everything that you have done, instead, for me anyway, they are a place to write about anything that seems important at the time. This might be thoughts or ideas, something that I have noticed happening, messages from or conversations with my guides, a card I have drawn from a pack, a line of a song that keeps popping into my head, in other words anything that I feel I want to jot down. All of this then provides me with a snapshot of where I am at any particular time. It gives me something to look back on and see how far I have come when it feels as if nothing is happening. It gives me some way of seeing patterns that are occurring and which need acknowledging or healing. It gives me a way of making connections between things that happen at various times and for me it also gives me a way of making sense of my life for all too often it can be months or years after something happening that I get the eureka moment where it all clicks into place. At times like this it is so useful to be able to trace back and see where it all started and what has happened in between. I have journals that contain my own thoughts, ones that are work with my guides and also journals that are linked to what is happening while I am studying something or on a course. For me these need to be separate as that way I can find things quickly and know what they are connected with. It is easier this way for me to see the bigger picture. I no longer have loose leaf files, I have progressed to something a bit more permanent now. I still don’t have expensive leather covered journals but use whatever is on offer as I get through them so quickly, and for me it is what is inside them that is important, not what they look like. Some weeks ago I read a blog that stuck in my mind and got me thinking. The author of it was talking about how visiting nature in your mind, in your imagination, instead of getting out in it meant that often it was a very sanitised view of nature that was being visited. In a shamanic journey this doesn’t happen. There is nothing at all about shamanism that is sanitised in any way so in a shamanic journey death and dismemberment can both be realities, the space that is being ‘visited’ can also be dark, damp, dangerous and unknown and the journey is always as real as being here in ordinary reality. And therein lies the difference between going somewhere in your mind, in your imagination and undergoing a shamanic journey. For a shaman there is no difference between this reality and any other reality that is entered. They are one and the same. So what is a shamanic journey? A shamanic journey is a way of accessing realities that are unseen or unnoticed in our ordinary everyday reality. They are alternative realities where those taking a shamanic journey can access their spirit allies, knowledge and the guidance that is made available to them there. A shaman’s cosmos consists of Upper, Middle and Lower Worlds and there are many different levels to be found in each of these making the shamans cosmos both complex yet easily accessible to them. All shamanic journeys take place in some form of trance. Sometimes the trance is deep at other times light. It can also at times be a case of walking with a foot in both worlds, neither fully here nor fully there in order to shift back and forth between realities as needed but the shaman always knows where they are and is in complete control. Unlike in a meditation within a journey, just as in this reality, decisions need to be made, conversations had, and tasks undergone all of which stem from the reason for or purpose of the journey, for it is the intention at the start that drives everything. Ways of entering a journey are for example, working with a drum or drumming CD, a rattle, singing bowl, chanting, dancing, Breathwork or simply stepping in, in fact any way that the shaman chooses to use to step into a trance. I was brought up by my parents to be independent, something that I’m sure gave them pause for thought at times especially when we were working through my ‘teenager years’. It has however stood me in good stead in my life as a shamanic healer. To simplify it enormously Shamanism is basically divided into two camps: those who are indigenous shaman or who have lived, worked and trained with those who are indigenous and those who have trained in core shamanism as taught by Michael Harner. There is though a third way which is that of the independent shaman for want of a better phrase, those like me who have been taught by their own guides, guides in spirit form rather than human form. Almost all of my training and teaching has come directly from them from the moment I met my first guide who I now know to be a past life ancestor, and then my spirit helpers to today. I have at times taken a workshop with another shamanic healer as it is nice to have human company at times and have also taken a longer course to fill in some of the gaps, things like psycopomp, which is the helping of lost souls cross over, which I had been avoiding doing, for example. My shamanic path as a whole though has not been guided by another human but solely by my spirit guides. At first this bothered me as one of the first questions I get asked is ‘who did you train with?’ For a while I fudged around this but now I simply say ‘my guides trained me’. This is a very independent path and not an easy one as in general people like to be able to label you, to know exactly where you have come from and how. There is also a lot of disagreement within the shamanic community over whether anyone who is not indigenous ie of tribal or native descent, which I would say is most of us, can actually work with shamanism. Sometimes the term ‘Plastic Shaman’ is used. I did once, some time ago now, look at training with a Native American shaman as I felt that my own skills were less for just the reasons that those who would call me a plastic shaman might give but when I was told by the shaman that I had to accept that none of what I did had any value I realised that it was just as valued as anything any human might give me as I had received it directly from my own spirit allies. Why should it be any less? Now I would ask ask how it is better to be trained by a human, who presumably somewhere along the line was taught by another human, than to train with your own guides and ancestors in spirit form, those who have walked this path before, who are there with you every step of the way, guiding you, supporting you, aiding you. I am proud of my independent path, of the way I have been taught and guided. I am also though, delighted to find that I am more and more discovering others who have found a shamanic path in the same way as I and are also now being open about it.